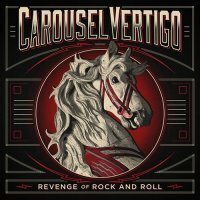 The nucleus of Paris-based Carousel Vertigo is vocalist/guitarist Vincent Martinez and guitarist Jansen Press (from New Jersey) who formed the band out of a shared love of Classic Rock music. 'Revenge Of Rock And Roll' is their second, full-length release following the 2014 debut 'Mighty'. They have supported Status Quo on a couple of European tours and also collaborated with Quo bassist John "Rhino" Edwards on the aforementioned debut. The band's musical style is essentially Classic Rock with a strong Blues undercurrent; both Martinez and Press handle lead guitar duties. First single 'No More Hesitatin'' opens the album and it's a good indication of how it will progress. A big riff and some subtle keyboard textures form the basis of the song, and they're topped off by a powerful Martinez vocal. Elements of The Rolling Stones, The Faces and Bad Company blend nicely and the hook is made for the radio. 'Honey Do' could be Bad Company (circa 'Desolation Angels') and mixes a Quo Boogie swagger with Honky-Tonk piano, again featuring a soulful performance from Martinez. Carousel Vertigo are not afraid to mix things up and the title track even throws in a brass arrangement to add to the variety. The guitar solos throughout 'Revenge Of Rock And Roll' are unfussy and all about complimenting the overall vibe rather than massaging egos. Both 'Jackie Run Run' and 'Hard Luck Lover' get a bit dirty and need to be cleaned from under the fingernails, whilst 'Hideaway' slows things down and is all about the Blues, giving Martinez and Press a chance to really shine. The running order has been well chosen, meaning the album feels balanced and the energy levels never dip from first song to last. The production lets the music breathe and all ten tracks will go down a storm live, and I'm sure that is where this outfit feel most comfortable. 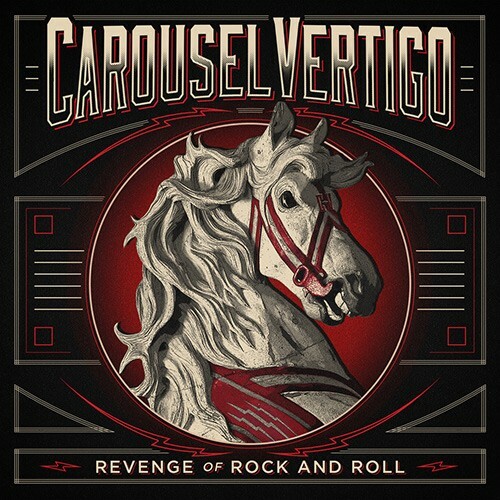 The likes of Inglorious and Blackwater Conspiracy have channelled the seventies sound with great success during the last couple of years, and on the strength of this opus, there is no reason Carousel Vertigo should not be mentioned in the same breath.